Last month I learned about a fun blogging and writing challenge called A Sentence a Day. I took this challenge for the month of June wondering what would be so interesting in my life that I could journal my daily thoughts into a post. Although I do not work in the summers, I have plenty of activities and interests to keep myself busy. 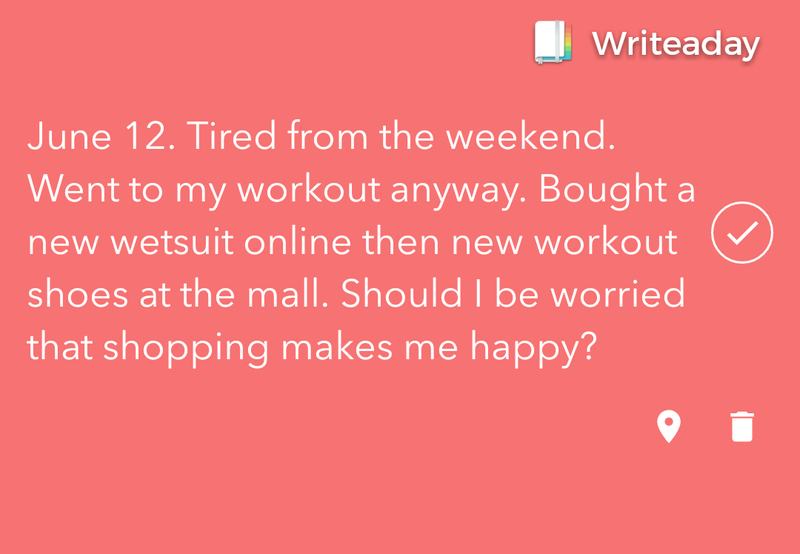 Not wanting to forget my daily thoughts, which happens more often than not…I hunted for a journaling app. I tried a couple, then gave up until I found Write A Day. I wanted something I could save to a WORD doc (if anyone knows of something besides One Note or EverNote please leave a comment)! Even though Write a Day does not save to WORD, it will save your post as an image that can be shared on social media. Here is an example from June 12. June 1 Thursday. Due to hubby’s work schedule, I took a solo drive to San Diego with 2 dogs. Took 9.5 hours. Listened to audiobooks—so nice to be read to! 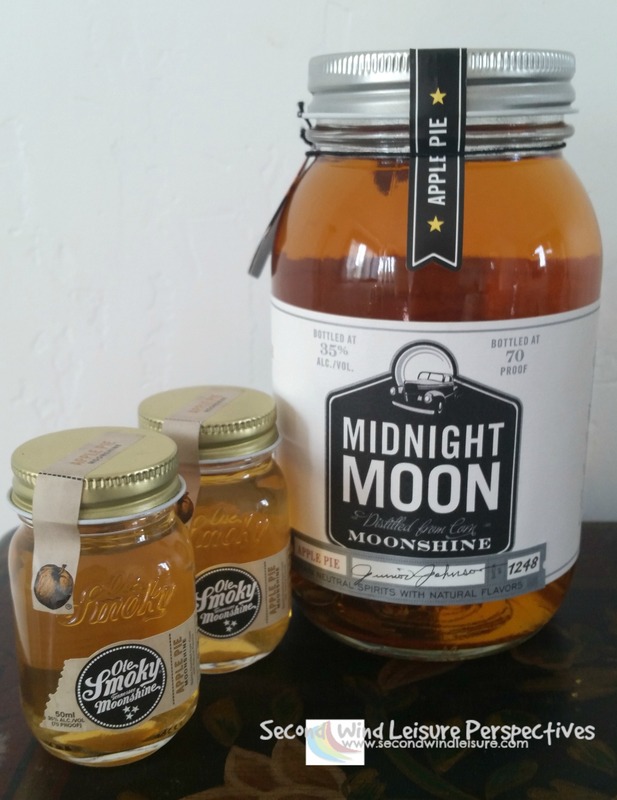 Today was my brother’s birthday, so let’s start out this post with a photo of the moonshine we bought to celebrate the birthday and engagement party! June 2, Friday. Did my morning workout at a San Diego 24-hour Fitness. Helped my brother by running some errands for his party. Later that evening we went to a hotel in Mission Valley for hors douvres. June 3, Saturday. Today I met my daughters and two of three stepchildren for breakfast for a belated Mother’s Day. This evening was all about my brother’s engagement party to his partner and our entire family traveled to San Diego from several California locations. June 4, Sunday. My morning walk with my dogs yielded a bonus of gorgeous jacaranda trees and bougainvillea plants. I adore these since I don’t see them in Sacramento. June 5, Monday. Enjoying the cool, overcast air known as “June Gloom.” Little did I know it would be scorching hot two weeks later all over the state of California. Oh, if I could bottle this cool air and save it for later! Met my stepdaughter for a nice lunch in Mission Valley near the gym where she works as a personal trainer. June 6, Tuesday. In preparing to leave San Diego to go home, my brother’s dog attempted his last bite on my “puppy,” Brodie. Why was it his last? Brodie finally just bit him back and took a piece of his ear. How I wish I could have left 20 minutes earlier. June 7, Wednesday. Nice to be back home from San Diego and discovered a blog post announcing my role as a blog panelist for WordCamp Sacramento 2017. June 8, Thursday. Thursdays seem to be my “spa” day! I wake up, enjoy coffee, check in and engage on social media with my Thursday blog posts. I usually attend cardio/bootcamp class, run home, shower, then on to my Weight Watchers meeting. June 9, Friday. Today is my mom’s 77th birthday. I tried to call her at the nursing home, but no luck. At least I got to visit with her the previous week while in San Diego. In a weak moment, I previously signed up for a Ladies Windsurf Clinic held all this weekend. In need of a new wetsuit, I tried on three at the Windsurf shop. Talk about exhausting and none of them felt right. Plus I was tired and slightly anxious about the clinic. I got to meet Arrianne, the Dutch Windsurf pro running the clinic. June 10, Saturday. I woke up in our trailer at the windsurf campground having anxiety about this morning’s impending windsurf clinic. Without hubby here as my “rigging boy,” I got some help loading my own sails and boards onto our truck and slowly drove the mile to the beach area. We watched Arrianne demonstrate some dry land skills, but I couldn’t execute the skills on the water. I was so frustrated, but I did get my front foot in the foot-strap for a few moments. The water was cold and my wet-suit did not keep me warm. The wind was fairly strong—I was complimented by the instructor for using a 4.7 meter sail (it was all I had rigged). June 12, Monday. At home and still tired from the weekend, but I went to my workout anyway. I bought a new wet-suit online from a store in the Columbia River Gorge, then new workout shoes at the mall. Should I be worried that shopping makes me happy? June 13, Tuesday. I wrote over 1100 words on my Fitness book today while my car was being serviced. June 14, Wednesday. Got a great 60-minute morning workout before it got hot. Ran errands and found a great new dog groomer in my neighborhood. June 15, Thursday. I went to my weekly cardio/bootcamp class. Unfortunately, it was hot in the group exercise room. Once at home and comfortably cool, I managed to write 300 more words on my fitness book. June 16, Friday. I try to practice Yoga every Friday at 8am, but it was very hot in the group-ex room. The instructor finished our yoga journey with the pronouncement “this was our first hot yoga class,” but I wasn’t amused. I ended my day with a nice dinner date with my hubby. June 17, Saturday. Knowing California was in for a HOT few days, we decided early in the week to avoid the delta (if there is no wind, it’s brutal—no A/C in the trailer), and decided to spend the weekend up in the Sierra foothills at my Dad’s place for Father’s Day. June 18, Sunday. We spent Father’s Day spent in Foresthill with my dad. Another hot day, but we powered through a sweltering 45-minute hike at 3500 feet on the Western States Trail. I am prone to heat exhaustion and got a touch of it at the end of the hike, but I got 4500 steps in. I had intended to write while Dad and hubby went shooting, but we ended up staying in the house with the fans blowing on us. Hubby grilled steaks and my step-mom made her amazing potato salad. So glad we spent the day with my dad. He will be 81 in mid-July. June 19, Monday. Enjoyed watching the early morning hummingbirds on my dad’s deck while eating breakfast! We later drove home with the A/C blasting in the car as this horrible heat wave continued on the west coast. Broke temperature records all this week. Cooling centers have opened in many communities. I didn’t do much of anything but take a long nap (which is rare for me). June 20, Tuesday. With this ungodly hot weather, 80 degrees at 9am, I went to our gym’s version of water aerobics. I actually got a decent workout! The water and air in the indoor pool were warm but as soon as I stepped into the main gym area, it was much cooler. Did some more writing on my book, another 1000 words. June 21, Wednesday. Early morning walk with the dogs to beat the heat. The temps will be 105 today! Got a much-needed pedicure, then spent the afternoon on book research and re-familiarizing myself with mail chimp! June 22, Thursday. 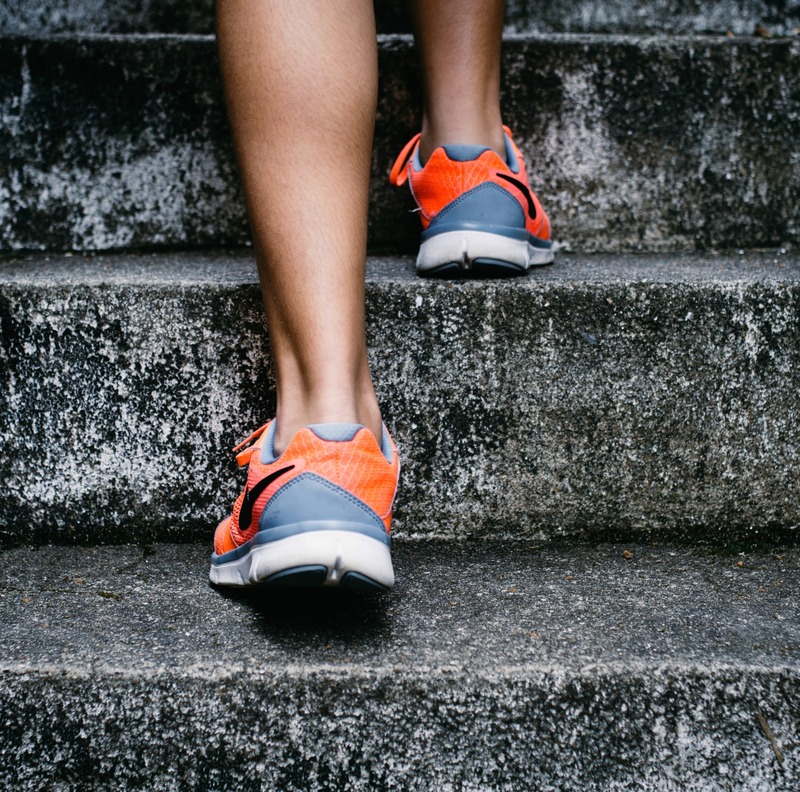 I am proud to announce I launched my new blog page Focus on Fitness with the link to my newsletter mailing list to draw interest for my upcoming book, No Excuses Fitness! June 23, Friday. Early morning yoga session, some class schedule prep work, then off to lunch with a fellow Sacramento blogger to discuss our next local meetup. This may be the last day of 100+ degree temps. June 24, Saturday. Saturday morning, heading to the nice, cool gym. Hubby’s new work schedule has his days off Sunday and Mondays through the rest of the summer. It’s kind of nice to drive to our windsurf campground in the delta on a Saturday instead of negotiating Friday afternoon traffic. Being semi-retired, I have little patience for traffic anymore! Feeling slightly motivated by all the fun, and having hubby rig up a small sail, another friend and I thought we could catch the sunset sail with the ebb tide, later that day. I was terrified but I felt ready for the challenge and the conditions were right…or so I thought. No sooner than I put on the wet-suit and rest of my armor, drag my gear up over the levee, and enter the water…the wind died! Kind of like getting dressed up with nowhere to go! But wasn’t the sunset amazing? June 26, Monday. 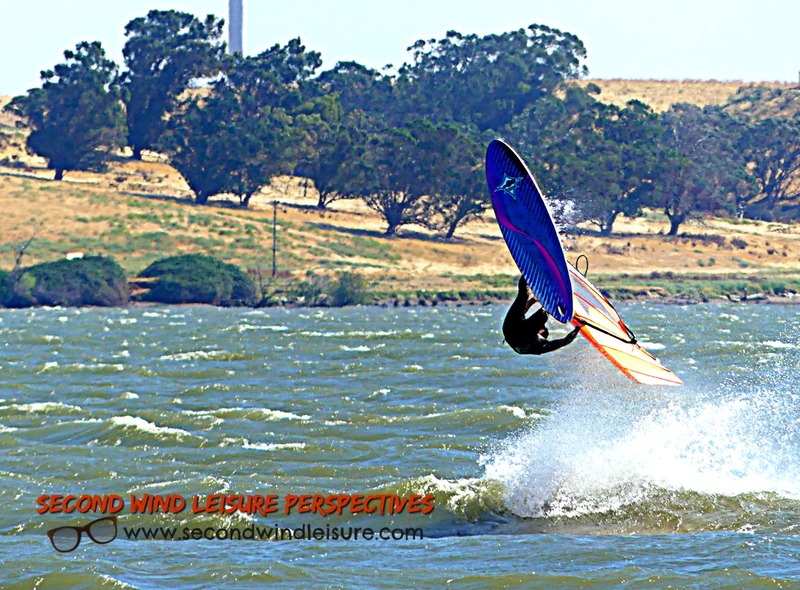 I managed to windsurf on this very windy Monday morning. I sailed on a 3.7 meter sail. My friend even took photos and made a cool video of me flying through the waves and posted it on Facebook. Once I was finished windsurfing, I noticed a dragonfly in the molting process of shedding its exoskeleton. I managed to capture several photos of the process. Nature is amazing! June 27, Tuesday. I spent my morning as a guest lecturer for a class one of my colleagues teaches, who is undergoing chemo treatments. That afternoon, one of our friends came over so I could help him submit an online supplemental job application. As a thank-you, he and my hubby started dinner prep and our friend badly sliced his finger. I had to drive him to Kaiser ER, luckily, we were only there an hour (a miracle if you ask me). Nope, no photos of this! June 28 Wednesday. With the exception of my workout this morning and a quick trip to the vet, most of my day was spent writing—two blog posts with images (tried Canva for the first time); and some work on my book. June 29, Thursday. The dogs woke me up early today, might as well get some work done! Posted a blog today then went to my Bootcamp workout! My goal is to use Thursday afternoons as my school prep day in order to have my Fall class schedules ready by mid-August. June 30, Friday. Where did the month go? I only have two short months to get my book written until I start teaching 150 students in the Fall semester! Getting ready for the July 4th long weekend. Today I launched my first newsletter to my subscribed “FIT Readers.” If you are interested, please take a look at this link! In capturing my thoughts for A Sentence a Day, I was amazed to read all of my thoughts written each day. Had I not written these daily, I would have forgotten some of the details. This is easier than I thought… What was your highlight for the month of June? 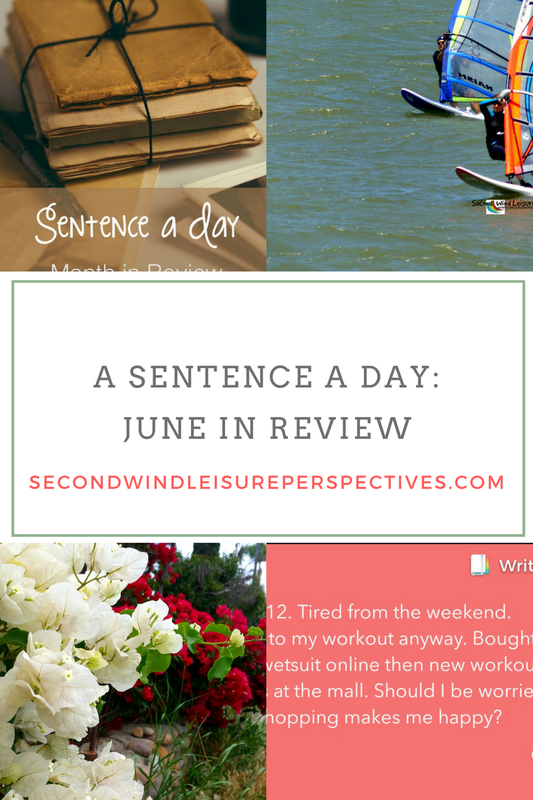 Please consider joining other bloggers for July’s “Sentence a Day” post. Start writing those sentences now! I have joined up with a great group, but there’s always room for more. 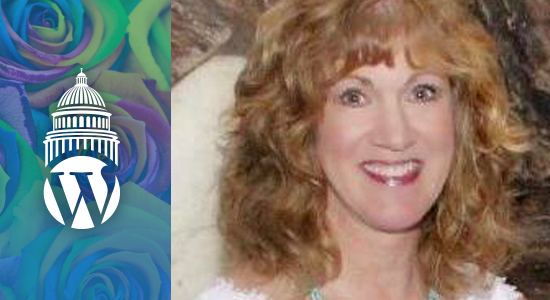 If you are up for this challenge, please visit Leslie at her Sentence a Day for May post. Please visit the links for other examples of Sentence a Day posts! I was in flow for sure! Thank you, Christy! I’m not sure how to pm you through your blog. :-0 My e-mail is pam.wight@colettawight.net. My nephew, who was raised in NH and is one of my favorite people, just moved to Sacramento for work (with the new AG). He’s in shock with the heat so far. But at least it’s a dry heat! I hope to visit him within the year. My favorite weather? Definitely the SF Bay area. Hi Pam, thank you! I sent your email along to Leslie, who coordinates it all. I’m excited you are interested. There is a monthly post that links up to others’ posts. I’m sure you will enjoy it. Which reminds me I need to journal my thought for yesterday! Yes, Sacramento is a very dry heat, thank goodness, because my curly hair prefers it that way. I grew up in San Diego so I know a little about humidity (it can be so humid there in August and September). Pm me through my blog and I’ll send you the email address for the sentence a day if you are interested. There’s a linkup for it each month, which is fun! I’ve never had the pleasure of feeling the legendary east coast weather, but I’ve been in east Texas and experienced that humidity in spring in summer. Here in sacramento we’ve had several 100 degree days again…I’ll take some more June gloom from San Diego, or even the SF bay area! Whoa! You are an adventurer..up to so many fun and different things… I love that! This just goes to prove how busy our lives are, Terri. How did I ever work full time and manage to cram everything else into a day? I’ve asked myself that question many times. Great photography of the dragonfly and don’t envy the summer heat you have to encounter. If you ever manage to bottle that cool air, I’d be your first customer. Here in the UK, we’ve had some hot days, but nowhere near as hot as in your part of the world. Love the idea of a sentence a day. It’s given me a new idea for some blog posts. I’ve just written that idea down so I don’t forget it. We do make our own “busy” don’t we, Hugh? I would love to read your round up posts of your sentences. It’s only once a month so I found it doable. Feel free to join when you can, it would wonderful to have the male perspective, plus you would be introduced to another set of wonderful bloggers. Yeah, it’s hot again here, sigh, but our A/C and ceiling fans work perfectly. Heading out for a dog walk right now (8:30am here) while it’s “cool (78 degrees)! I always enjoy your comments and appreciate them! Oh, gracious. I need to up my game. Just reading your month and the months of the other great gals has left me in need of a Red Bull! What a sloth I am becoming. Would like to know more about how you are writing your book. Hand written? Word? I keep saying I am going to write a book but again, the sloth in me takes over. Fabulous dragonfly photos. Like something in a nonfiction book for children. Well done. You sound like a devoted mom, step-mom, daughter and wife. I appreciate how well you balance all of those hats while working and exercising! Thank you for joining us. Looking forward to getting to know more about you! I hope you are having a great July! I try to write in my journal every day while we are traveling, but I don’t usually do it while at home. That might be a nice way to keep track of how we spend all our time in retirement (especially when we get asked, “what do you do?). Nice sunset photo! Thanks, Janis! I hate that question (even if it remains unasked)! I felt compelled to quantify my time every day when I first retired. Join us!! If you are interested in joining the group link-up, just holler. I will add your name to our email group and will send you the info. I’m loving this challenge Terri and reading what everyone gets up to. I think I need to put windsurfing on my bucket list although I’m not that great at water sports. I’m so pleased you joined the link up and can’t wait to read your book when you publish. Here’s to a great July for everyone. Yes! I’m so pleased to see several fellow bloggers I know, in the challenge, plus meeting new ones! Hi Terri: Glad you joined us in Sentence a Day. I’m 3rd in the link up. Looks like you had a fun month of June. Look forward to reading your July review. A great record of your month Terri, loved reading of your hot weather. I am enjoying this challenge but you’re right, we have to start making notes at the start of the month or we forget things!! Great pics too. thanks, Deb! I am journalling yesterday and today as we speak! LOL!! Thanks for sharing! For three years, I’ve kept a one sentence a day happiness journal. I love to look back on previous years as I record the current days entry. Wow, that takes dedication, Jill! Impressive! I used to journal, but life got in the way! And thanks for reminding me to write in mine now! Welcome to …. writing a diary every day! You lead a very busy life, my lady! 🙂 I should refrain to a sentence a day, instead of a full page, equaling about 20 minutes each evening!! EEk! I know! My sentences became long winded!! But writing will do what it wants! Hi Terri, what book are you working on? It sounds so exciting. Thank you for sharing your June diary. I admire how active you are. I should do more exercise! Hi Miri, we should ALL do more exercise, LOL! And that’s what my book is about: No Excuses Fitness. If you’re interested, please consider joining my mailing list! 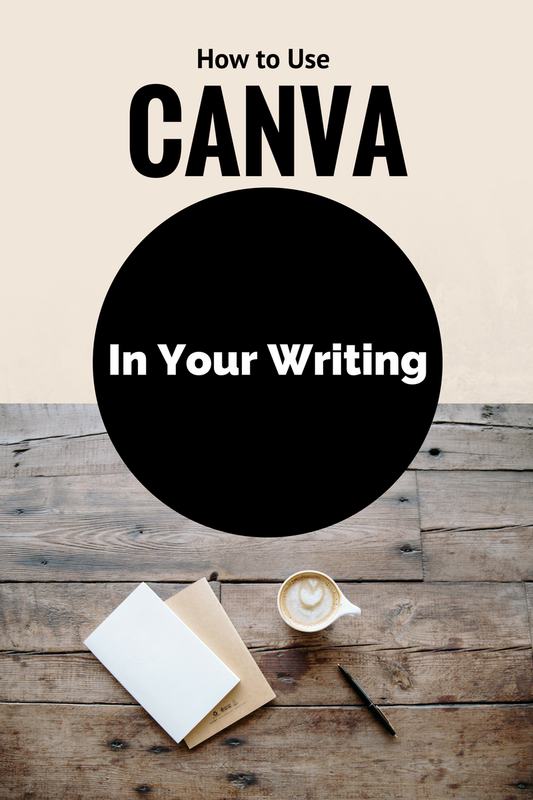 So did you link canva? I love using it. 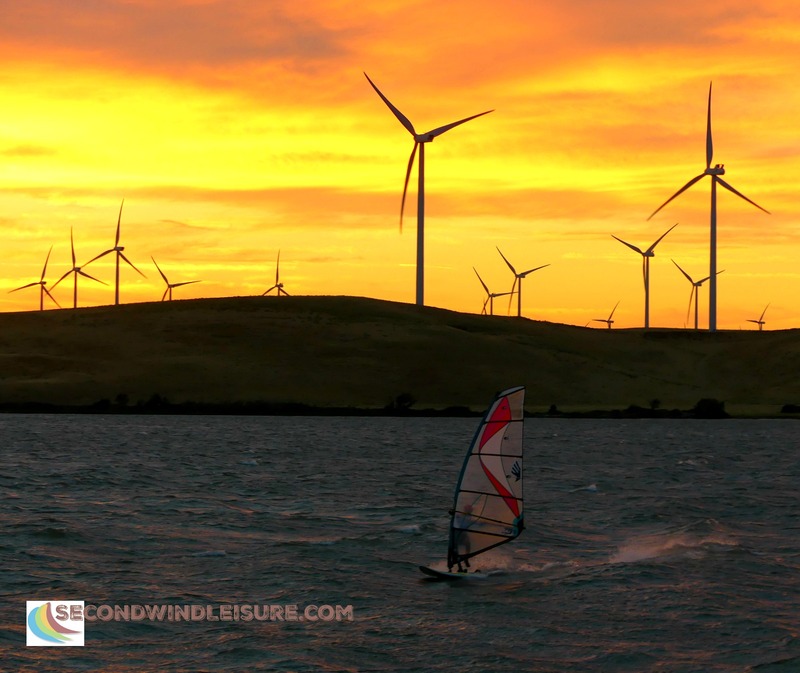 What a great month, I have always wanted to try wind surfing…glad you had some friends that could talk you down, sometimes that’s what we need. I’m loving reading everyone’s sentences. Thanks, Sarah! My sentences seems to be paragraphs, LOL! Sounds like you had a really lovely month, Terri. Nice to have met up with all the girls for mother’s day even if it was a bit late. Wrenching you knee doesn’t sound very nice but I assume your recovered quickly. Hi Terri, Lovely journal and photos. I, too, have been looking for a journaling app in anticipation of catching thoughts on the go on my next trip. I finally settled on the “Notes” app that comes on phone, iPad, etc. You can copy and paste into Word or WordPress and edit once there and you can even dictate by tapping the microphone. I have set up a folder for the trip in “Notes” to keep them together. You pack a lot of activity into your days, Terri. No wonder you’re so healthy and youthful. Thank you, Sharon! What is that they say about being “retired”? How did I have time to work? Like I did – squeezing it in between the important stuff! Hi Terri, you are one busy woman! I like the idea of writing a little something each day. I used to journal, but have gotten away from it. I think I put too many demands on my writing- it has to be perfect- that I sometimes just don’t start. I really should free myself and just get it down! I look forward to checking our your new site. Thanks, Michele…you’ve been on vacation? I use Write a Day to get it all down, then just quickly type it into a Word doc ASAP. What a great review, Terri!! We learned about June Gloom while we were in LA last weekend!! I had no idea—I thought the sun always shone in California?? LOL!! That sunset photo is amazing!! 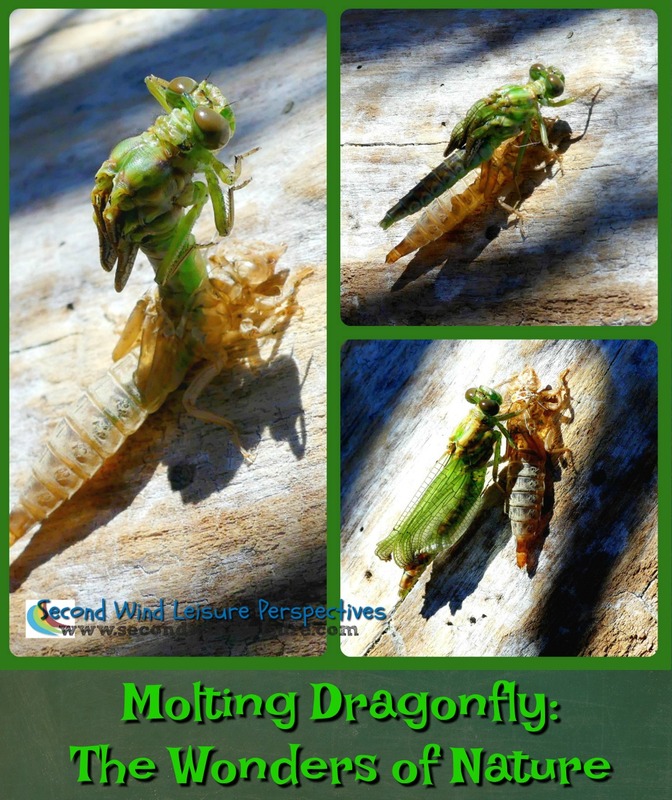 And the molting dragonfly—wowza!! I still have to get better about taking photos. Heck, we went to breakfast in LA with a blogger and I forgot to take photos!! Bad blogger!! Thanks so much, Jodie! Sometimes I forget to take key photos too. Also hard to get a selfie on a windsurf board–needing two hands and all, LOL! I have greatly enjoyed reading these ‘Sentence A Day’ challenges. They have given me much insight to the bloggers behind them. You’ve had a busy month!! I loved your ‘behind the scenes’. Thanks, Donna! My, you are a fast one this a.m.!